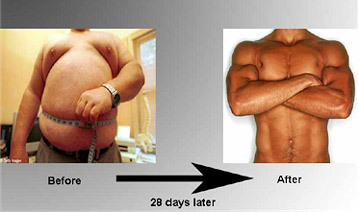 No other fat loss dieting method has gained quite as much traction in recent years as intermittent fasting. 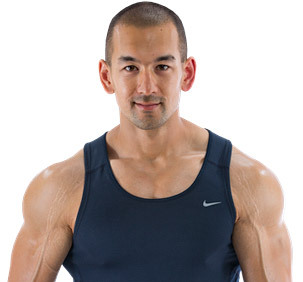 The “IF Diet” is widely promoted by a variety of different fitness bloggers and YouTubers, many of whom portray it as being a vastly superior method of dieting that every fat loss trainee will benefit from. 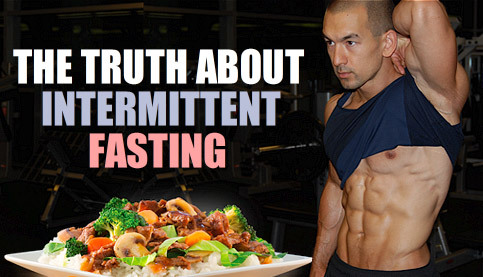 How exactly does intermittent fasting work? 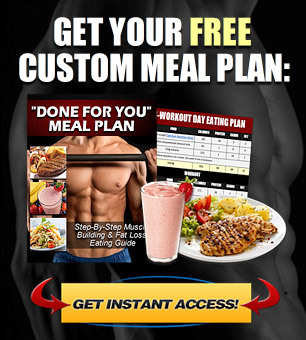 Rather than the traditional approach of eating 4-6 meals spaced all throughout the day, the IF protocol is a dieting approach involving extended periods of fasting followed by an assigned “eating window” where all of one’s daily calories are consumed. 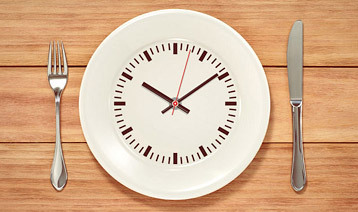 There are a variety of different intermittent fasting structures you’ll come across, but the most widely used method involves a 16 hour period of fasting followed by an 8 hour period of eating. Liquids such as coffee, tea or other zero-calorie drinks can be consumed during the fasted period, but all solid foods are limited to the feeding window. Because of all the hype and confusion surrounding intermittent fasting (as well as the many questions I receive about it on a weekly basis), I figured it was time to write a blog post addressing the real unbiased facts behind IF so that you can decide for yourself if it’s right for you. 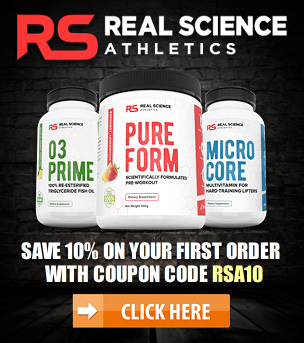 Unlike years past when “6 small meals a day” was widely considered as the hands-down best approach for burning fat, we now know based on the research that meal frequency and meal timing are essentially a non-issue when it comes to optimizing fat loss. In other words, assuming your calorie and macronutrient intake remains the same, eating smaller/more frequent meals throughout the day will ultimately produce the same bottom line fat burning results that larger/less frequent meals will. Basal metabolic rate is not significantly altered in either case, nor is the overall thermic effect of food. Effective fat loss dieting ultimately just comes down to maintaining a net calorie deficit over time, and as long as you’re meeting your nutritional needs for the entire day as a whole, the specific way in which you lay out your meals is really up to you. 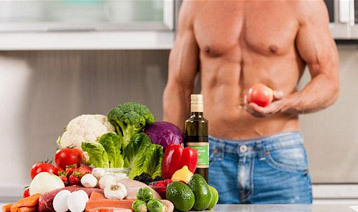 In order to maximize the enjoyment of your fat loss plan and ensure that you remain as consistent as possible over the long term, your basic goal should be to structure your diet in whatever way you personally prefer based on your appetite, schedule and on what makes you perform at your best. For a certain percentage of people, fasting for 16 hours and then consuming 2-3 larger meals within an 8 hour window is that preferred approach. When it all comes down to it, that’s all that intermittent fasting really is. Intermittent fasting is simply one option out of many different possible options when it comes to spacing out your meals for the day. Some dieters will prefer it, and others won’t. Why exactly do some people do better on an intermittent fasting structure in comparison to regularly spaced meals? 1) They enjoy the physical and mental satisfaction that comes with eating larger meals spaced more closely together, and would rather forego eating for an extended portion of the day in order to enjoy more food later on. 2) They find that their overall diet becomes simplified since they’re able to spend less time thinking about food and having to plan out meals. Only during the 8 hour feeding window is “proper nutrition” a concern. 3) They’re able to adhere to their calorie and macronutrient targets more closely, since restricting their eating to an assigned window decreases their chances of intentional or accidental over-eating. For some people, fasting for 16 hours a day in order to obtain these 3 benefits results in a more successful diet and is therefore a better fat loss dieting approach for them. And not everyone finds a traditional “4-6 meal per day” approach to be tedious or difficult to stick to. On top of this, there’s no reason to suspect that intermittent fasting will somehow boost your rate of fat loss in comparison to regularly spaced meals like so many people out there claim it will. “While intermittent fasting appears to produce similar effects to continuous energy restriction to reduce body weight, fat mass, fat-free mass and improve glucose homeostasis, and may reduce appetite, it does not appear to attenuate other adaptive responses to energy restriction or improve weight loss efficiency”. 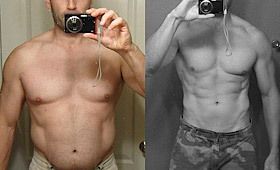 Not only did the IF diet fail to improve bottom line fat loss in comparison to regularly spaced meals, but the number of people who stuck with the diet versus those who dropped out was also the same between the groups. This again lends support to the idea that preferred meal spacing/meal timing is highly individual, and that every dieter should experiment to find the structure that they enjoy the most. This is why you’ll often hear from people who “swear” by intermittent fasting, saying that they achieved far better results this way in comparison to their previous diets. It’s not that intermittent fasting is inherently superior when it comes to stimulating fat loss within the body, but rather, it’s that for some people it’s simply an easier-to-follow method for maintaining a calorie deficit. Long term fat loss is ultimately a product of burning more calories than you consume over a prolonged period, and any dieting approach that accomplishes this effectively is going to produce great results. As I outlined previously, many people find that a fasting period followed by a shorter eating window leads to greater overall dietary control, which is something they may have been lacking on their previous eating plan. If you’ve had a tough time sticking with a traditional 4-6 meal per day fat loss plan, or if you just want to try out something new, then intermittent fasting is a perfectly reasonable option to test out for yourself. A lot of people prefer this particular way of eating, and you might also. That said, intermittent fasting doesn’t have any special fat burning effects, and if you’re already doing just fine on your current nutrition plan, don’t think that switching to IF is going to somehow “supercharge” your results. The bottom line for fat loss is to properly calculate your nutritional needs for the day as a whole in terms of calories and macronutrients, and then lay out your meals in whatever way feels best for you. All things equal, the meal structure that maximizes your mood, energy levels, motivation and that controls your appetite most effectively is going to lead to the greatest long term fat burning results.